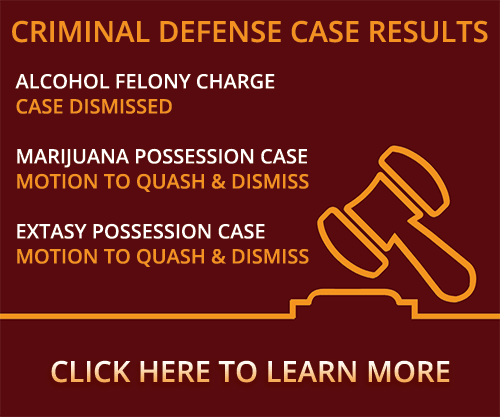 When arrested for driving under the influence, most people ask “Do I need a DUI attorney?” Watch this video to learn why strong legal defense is a must! Do I need an attorney if i’m arrested for DUI? All kinds of people say, “I’m guilty. Can I just plead guilty in my DUI and start on probation?” The answer is no. Under the constitution of the United States, you’re going to have to have an attorney because you can be sentenced up to one year in jail. If you can’t afford one because you don’t have a job, and you’re not a student, and you’re just plain broke, you might be able to qualify for a court-appointed attorney. If you can’t get a court-appointed attorney, you need to hire an attorney to represent you. An experienced attorney can help you a lot. First of all, our job is to make sure that the law enforcement did their job. We’ll ask for a dash cam to make sure they stopped you with probable cause, and that they did everything appropriate. We have an administrative hearing where we can talk. We can ask the officer questions. We can make sure that he did his job. We can verify whether or not the breathalyzer was used correctly. There are certain procedures and protocols they have to use to run the breathalyzer. If they didn’t do it, then we can maybe get your license back with the administrative hearing before the Department of Public Safety. On the criminal side of the case, an experienced lawyer is helpful because we know the judges. We know the lawyers in the district attorney’s office. We know what’s a reasonable offer and what’s not a reasonable offer. We know that situations arise where you have questions. You can call up and ask, “What about this? I can’t make court today. What do I do?” There are all sorts of things that happen during the time before you enter your plea and while you’re on probation. We have the experience. We’ve been here for over 34 years. We handle these cases regularly. We’re a phone call away. When you call, we can give you answers, and we can give you correct answers. To go with an inexperienced lawyer could be problematic for you down the road if they don’t have all the right answers. Did you or a loved one get arrested for drunk driving in Oklahoma and asking, “do I need a DUI attorney?” Contact a Stillwater DUI attorney at Murray Law Firm today for a free confidential consultation and case evaluation. Let our experience work for you.